I have to admit: procedural television is not always my favorite thing. While I enjoy the comfort and stability that X-of-the-week style series provide, I often crave new and exciting over that which I irrationally (and judgmentally, I know) deem as too often predictable to invest time into. But this year has been different — procedurals are getting better and I was determined to see the good in them that so many others do. Like NBC’s The Blacklist, which returns from winter hiatus on Monday, January 13th at 10PM. So when the show exploded onto the scene this season, I knew I would be well-served to jump in. The only problem being that, as a TV writer, it is very hard to find time to watch TV that isn’t work-related sometimes. So, naturally, I made it my mission (and a deadline-enforced duty) during the winter holidays to catch up with the series in order to see if I could be converted to the land of procedural lovers. Because as it turns out: lots of people like the show, as evidenced by its number one ratings overseas. Though this post will be largely free of any major spoilers, the synopsis is this: Raymond "Red" Reddington (the truly incomparable James Spader), is a former government agent turned most-wanted FBI fugitive. Upon surrendering at FBI Headquarters in Washington, D.C. one day, Reddington reveals he and the FBI both desire the same thing: getting rid of dangerous criminals and terrorists. Given his extensive and impressive network of baddies, he claims to have access to some of the most dangerous people in the world — so bad that the government doesn’t even know about them. With the help of Elizabeth Keen, a newbie FBI profiler Reddington’s taken a curious interest in, the duo work together (albeit begrudgingly) to neutralize the baddies on his list: the so-called Blacklist. Turns out? 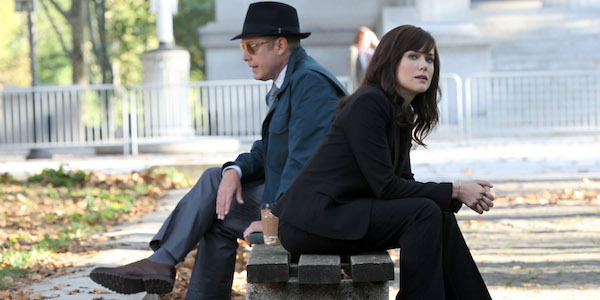 The Blacklist is pretty, pretty good and far more entertaining than most others like it out there. Having blown through the first 10 episodes quite quickly — the show is well-paced and the twists and turns well-timed as to keep up viewer interest — I can safely say this is one series worth adding to your TV-viewing repertoire if clever crime drama done well is your cup of tea. The series was one of the first of the season to get a renewal, and with good reason. The show has a host of characters with varying levels of interest and investment in Red’s list of super-bad guys. Diego Klattenhoff plays Special Agent Donald Ressler, a super by-the-books type who has a fraught relationship with the development of Red’s case. We won’t get into specifics but their dynamic is an interesting one, and by the last two episodes of 2013, you learn a lot more about the duo’s curious chemistry. Spader is a truly dynamic actor. In any other hands, Reddington’s laissez-faire attitude could easily come across as cloying, annoying, and wholly unbelievable. But there is literally never a time that Reddington isn’t cool as a cucumber with some serious visible heat bubbling right below the surface. The show lives and dies on the convincing way Reddington wades through the worlds of “good” and “bad,” and makes a pretty interesting (and dare we say it, logical) case as to why people sometimes live their lives outside of the law. It’s not an easy thing to ask of an actor, but Spader is far from a slouch — committing 150% and we’ll be damned if he isn’t wholly believable as a criminal mastermind. He’s got crazy behind those eyes, and we’re loving every second of trying to decipher it. Like many shows, the twisting and manipulating of the audience’s knowledge pool is necessary to keep emotions high and tensions going. And in a series where deception is the name of the game, it would be more than easy to mire its twists in outlandish nuttery. Red herrings appear here and there by way of emotional exposition, which allows the writers flexibility in their long game and the audience go to positively crazy with theories as to what’s going on just beneath the surface. And minor spoiler (though the fact is revealed in the pilot episode), but it’s not all on Spader to handle the metaphorical heavy lifting on the intrigue front. Elizabeth’s husband, the totally-is-a-baddie-though-we’re-not-really-sure-how-bad Tom Keen, is also on the list of people and things worth being suspect over. And the way actor Ryan Eggold plays the game is nearly as captivating as Spader. It would be easy to portray Elizabeth as stupid and incapable — considering a potential Blacklist entry might be living under her own roof — the show resists such easy temptation and instead showcases all the ways in which she’s tempered and critical in her approach to other people. Perma-wary but willing to listen, Elizabeth holds the keys with cautious aplomb, insuring that whatever side Tom ends up on, it’s going to be a thrilling ride to watch. One of the universal truths of the world is that everybody lies. What’s fascinating about that, though, is not the fact of it, but rather the personal machinations behind it. The Blacklist plays into those fears beautifully. We don’t know anyone, not really, and the fear becomes as dynamic a player as the actors on the show. In the ten episodes that have aired thus far, you never really know which side people are on, and while that’s a very easy well to run dry quite quickly, the approach people take make it feel wholly out of this world. Which we mostly have the criminals to thank for their mind-bendingly fun and smart work. As an outsider, it might be easy to idealize that there’s nothing the FBI and CIA aren’t aware of, but the reality is that’s probably very likely not the case. 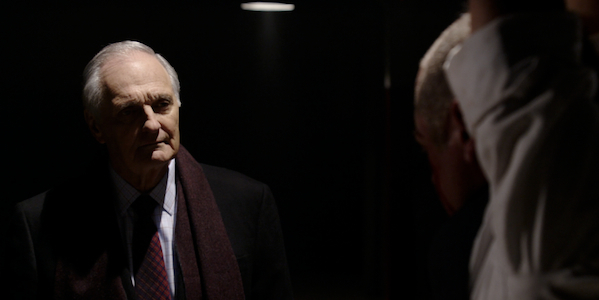 And the type of criminals The Blacklist makes a case for the conceit’s believability. These bad guys are niche to say the least, but it’s that highly specific casework that allows them to function just out of view while also furthering the impression the audience gets that maybe this blacklist of Red’s isn’t exactly what he’s making it out to be. I know it’s not the most PC thing to say, but goddamn if the lives of these made-up criminals aren’t dangerous — and therefore cool — as hell. The premise being that they are so dangerous not even the FBI knows about them (or is able to catch them) is an unsettling one: but it’s not all that unlikely a scenario. It’s just that The Blacklist is the first show to ever admit it. And something tells me the government’s probably less-than-keen on that. 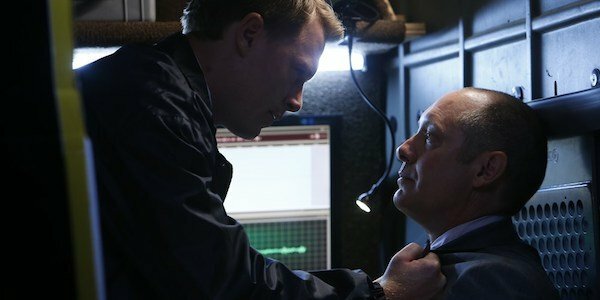 There are several moving parts to The Blacklist, but the series does well to keep them easy to keep up with on their own and on the whole. Especially interesting is all the deception that’s going on. It’s as though literally everyone on the series as a secret ulterior motive to being involved with the Reddington case. From the Assistant Director, to the tech guy, to even the CIA field agent that’s been plopped on board — the withholding of intentions runs rampant through the series’ through lines. And while that could easily be an issue for the series, it actually allows the two camps of TV viewers to pick and choose their own involvement. It is just as fun to guess and theorize your way along as it is to sit back and let it all unfold. Meaning the series can be a joy for any number of TV viewers regardless of their viewing styles. A procedural crime drama that satisfies all of these points is damn-near hard to come by, and not something all that easy to create (and keep consistently good) week in and week out. But so far, The Blacklist has managed to do just that. Don’t let us twist your arm for you: make up your own mind! But we will say this: it would be worth your time to explore it either way.